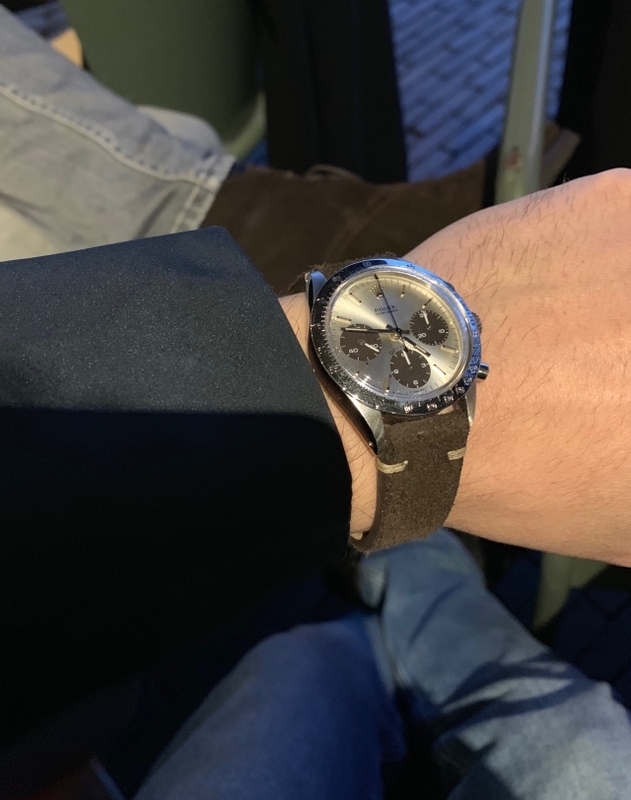 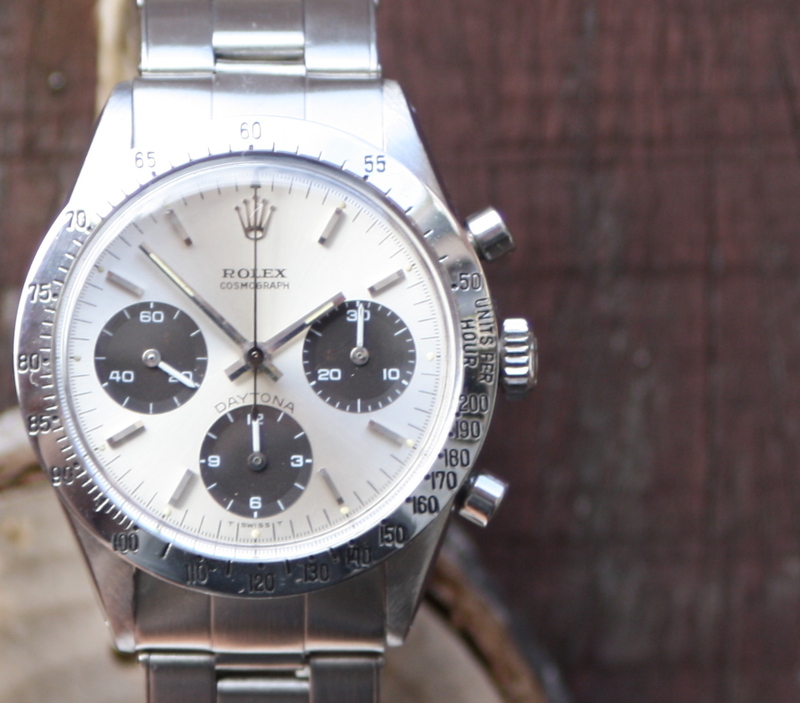 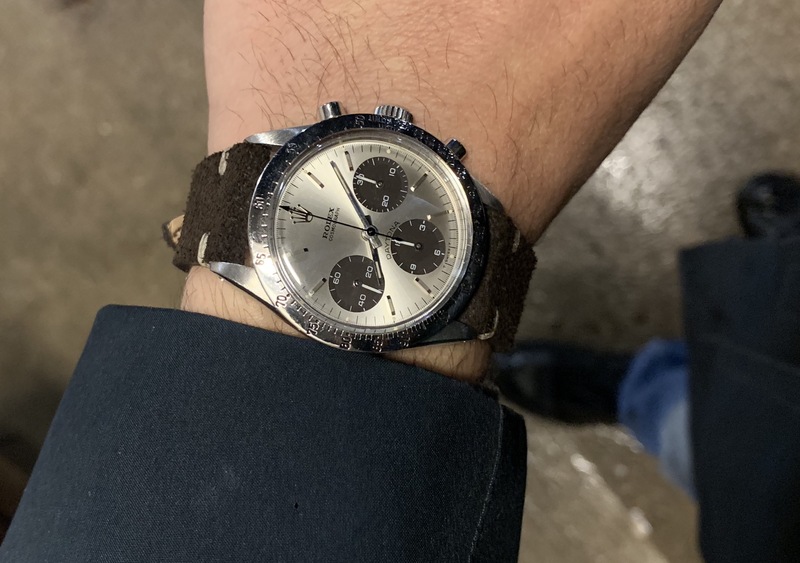 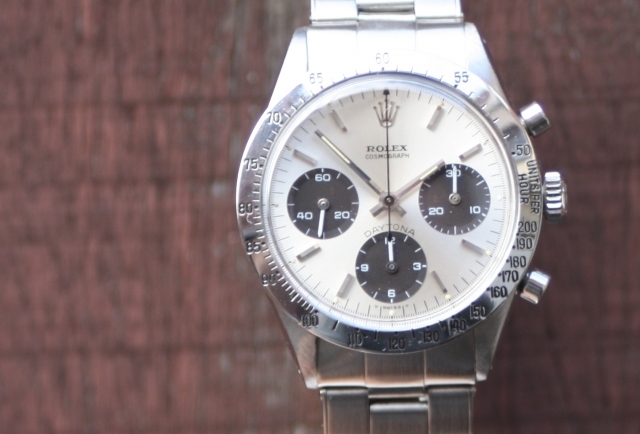 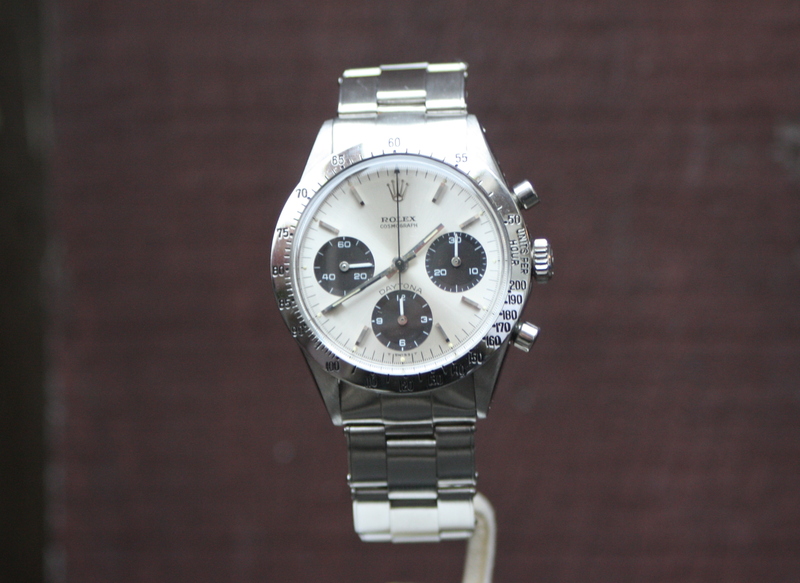 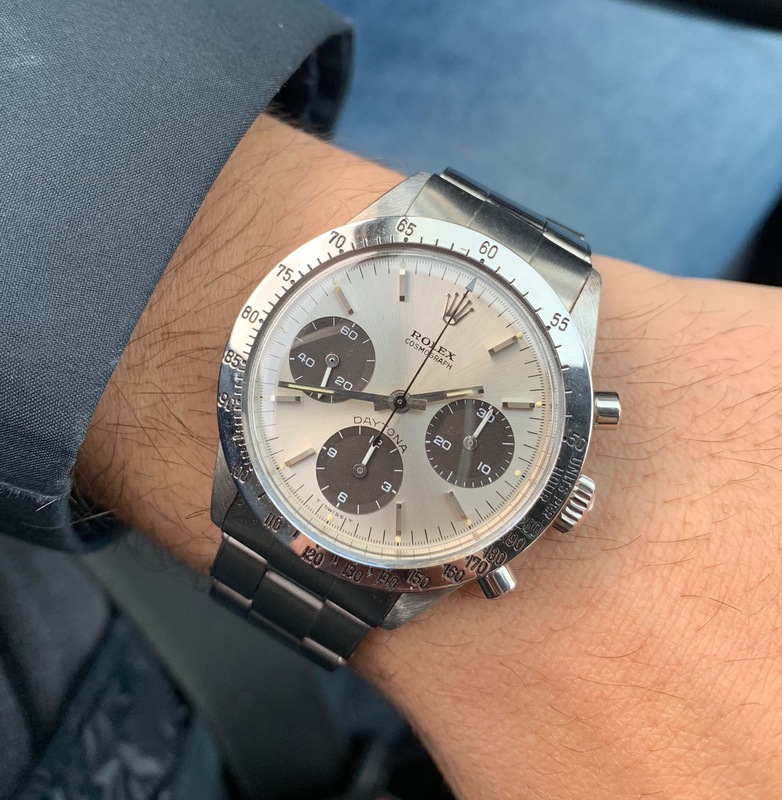 Rolex 6239 Daytona from 1968 in perfect condition. 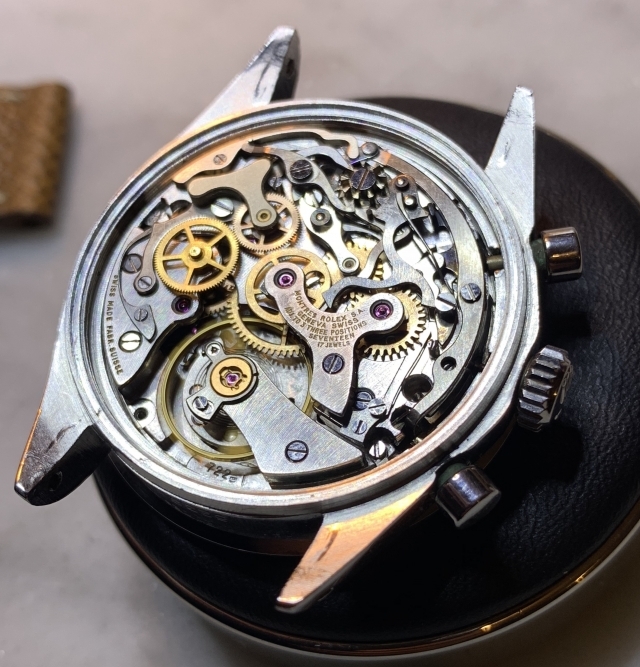 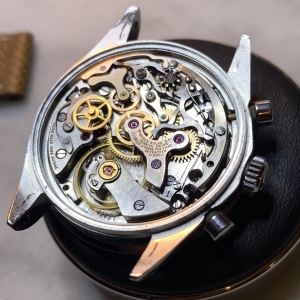 Chronograph watches prior 1963 did not bear the word ‘Daytona’ on the dial. To show the brands affiliation with the race industrie Rolex started with the production of the Rolex 6239 Cosmograph Daytona. 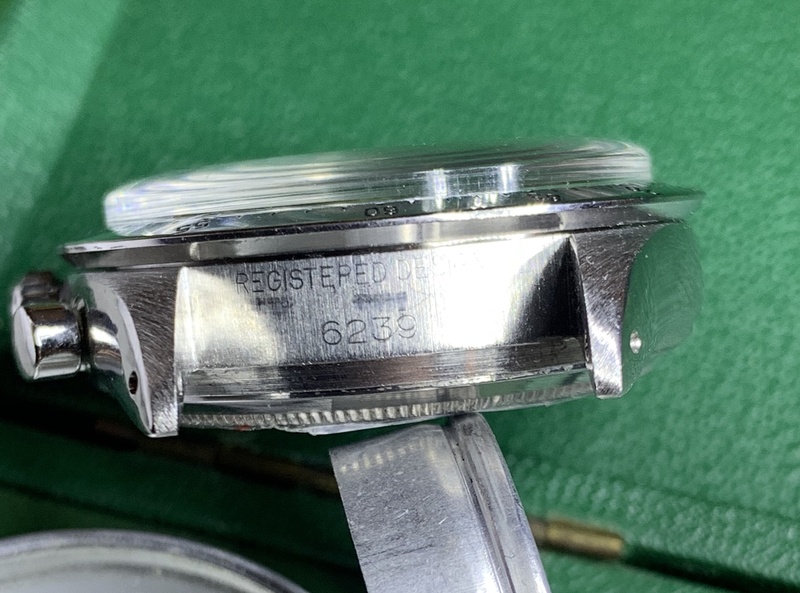 The reference 6239 is the first Rolex watch bearing the ‘Daytona’ signature on the dial, it has always been a popular watch among car fanatics and drivers. 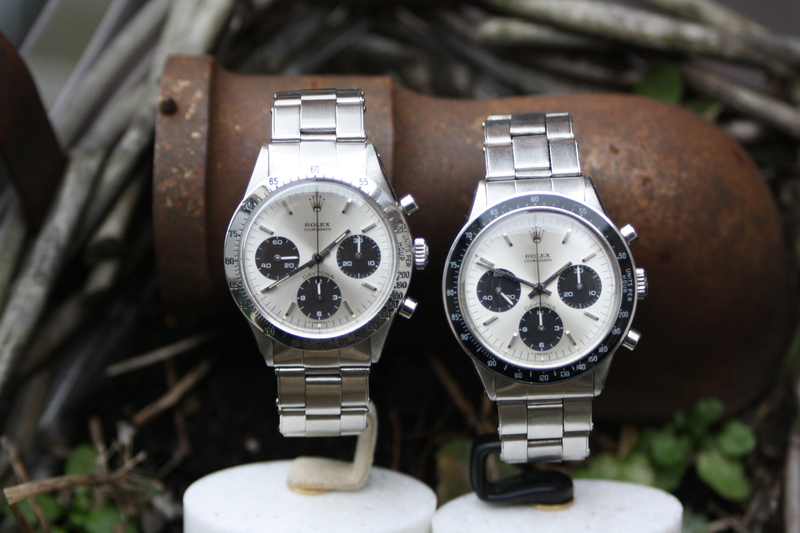 However the sales of the Daytona watches have always been very low till the 1990’s. 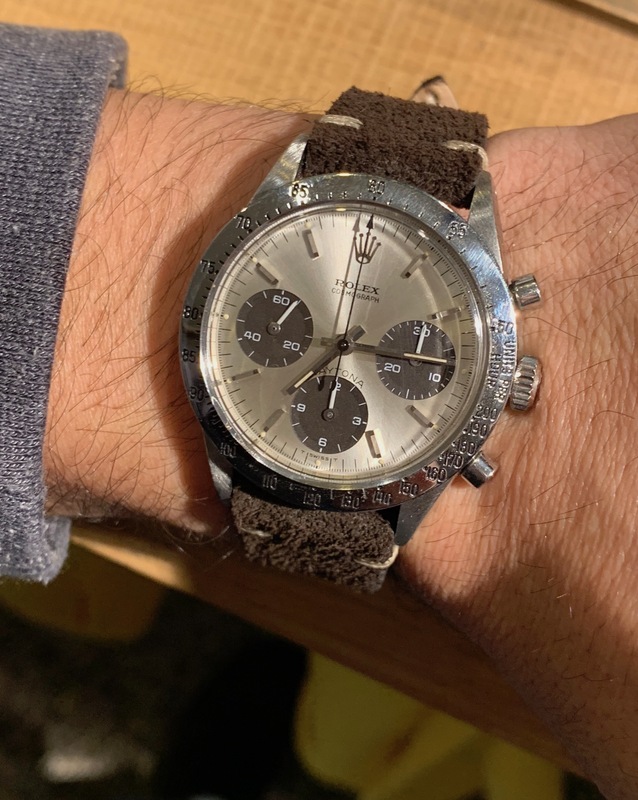 What made the ref 6239 really famous is the legendary actor Paul Newman who has worn different Rolex 6239 Daytona watches during his live. 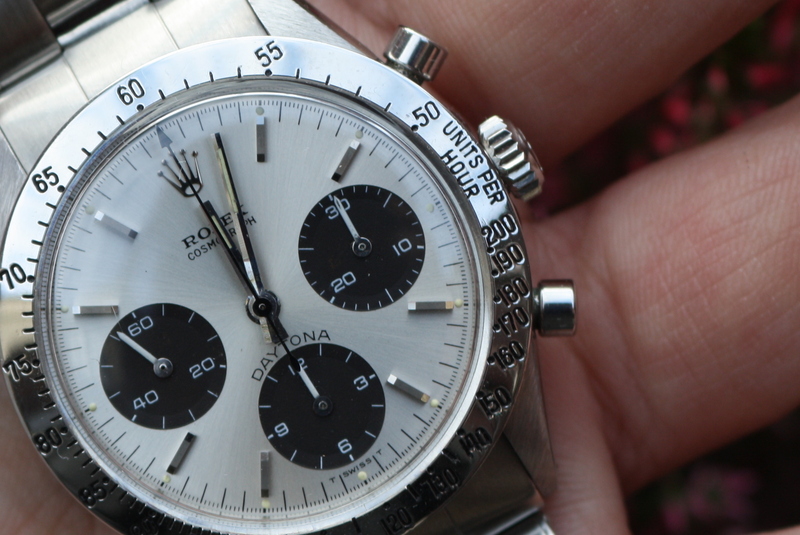 Most Daytona watches bearing an ‘exotic’ dial are just called ‘Paul Newman Rolex’ today. 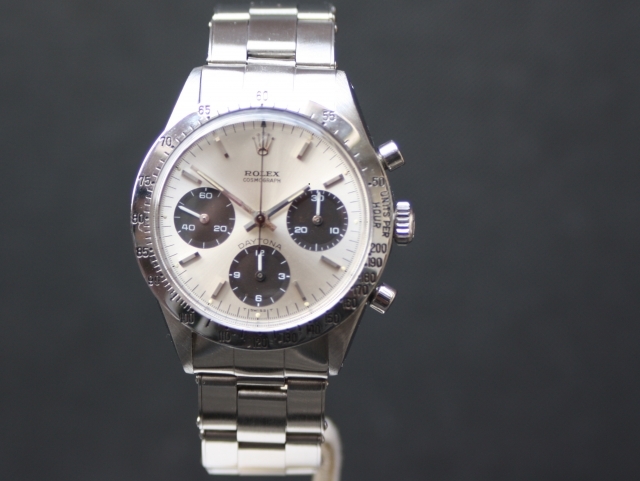 Recently the watch of the legend himself has been auctioned for the extraordinary amount of 17.8 million dollar. 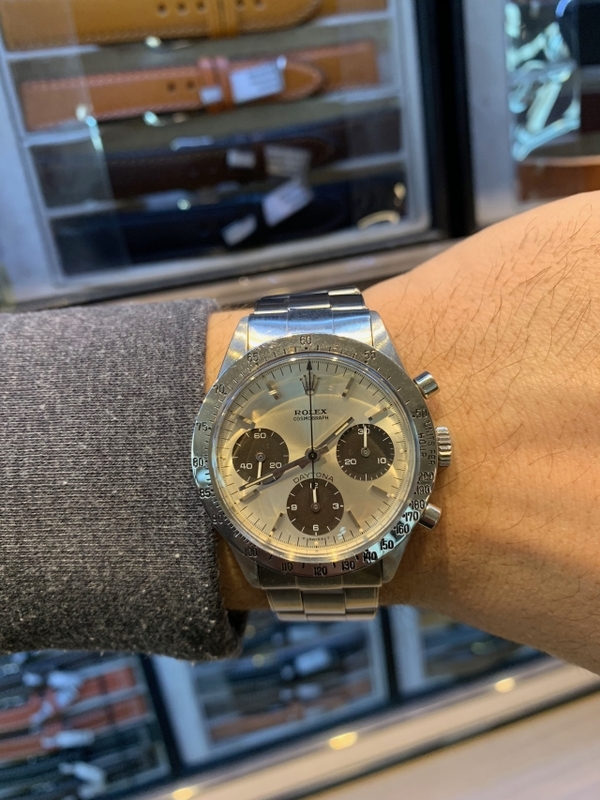 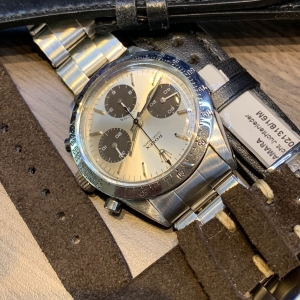 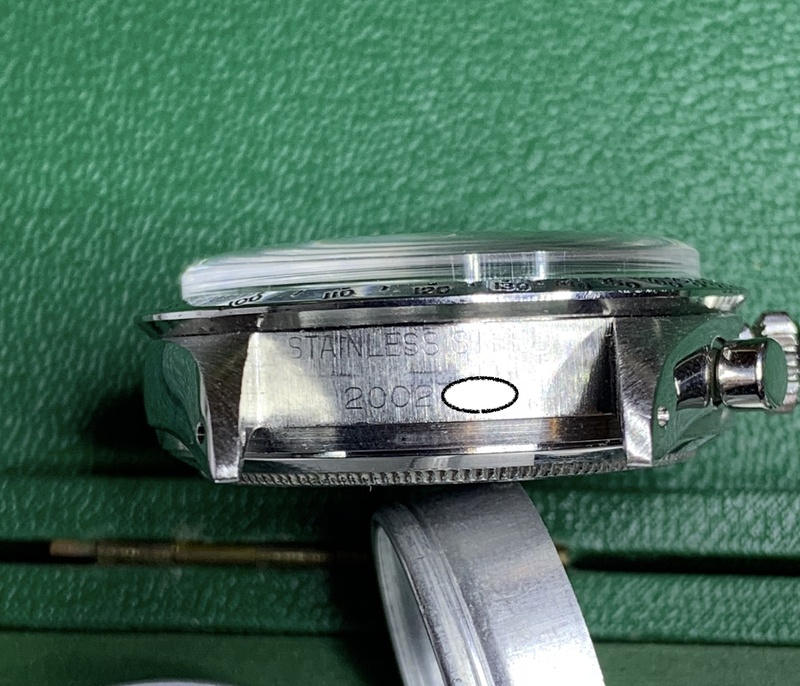 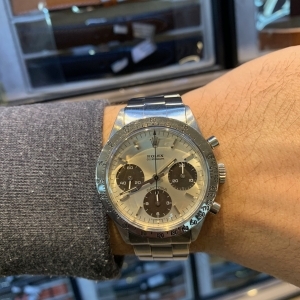 Nice detail about the watch we offer for sale is that its from the same serial range (2.0 mil) as Paul Newman’s Daytona sold at Phillips auction. 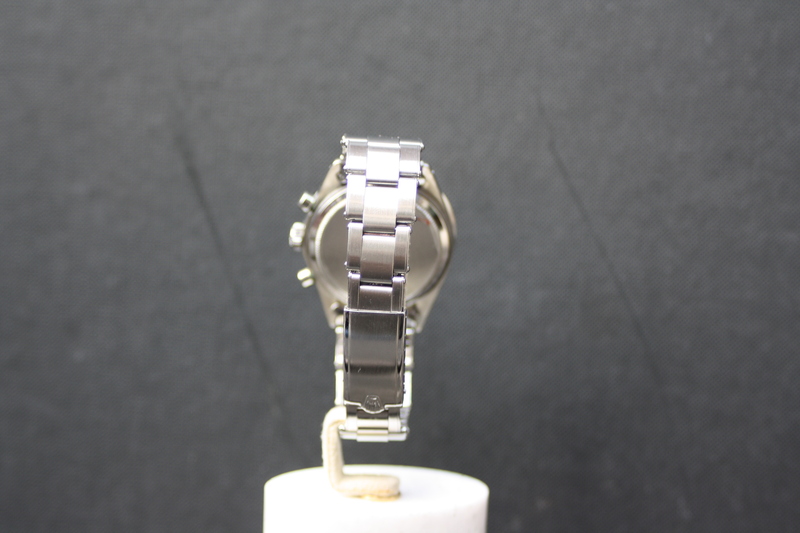 Hard to capture on pictures but highly attractive on the wrist is the dial of the 6239 we offer for sale. 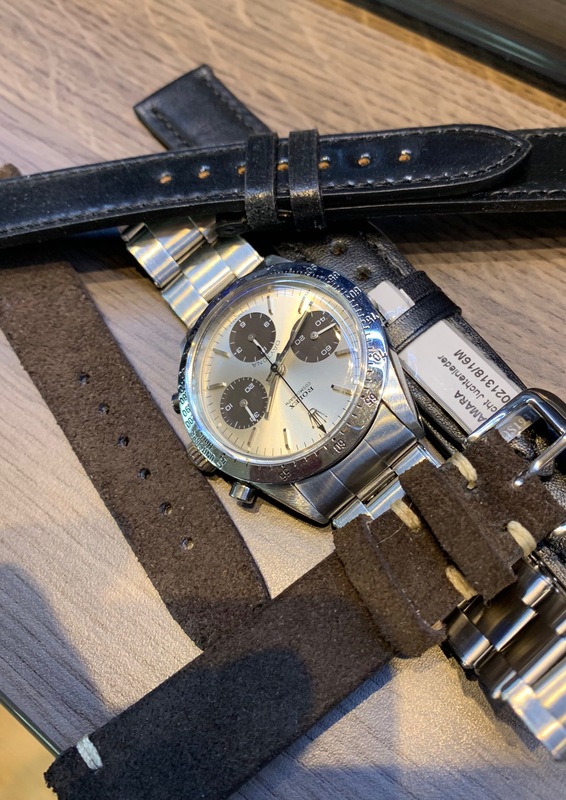 Besides the fact it’s still in perfect condition it also developed a nice dark brown color on the (originally black) subdials. 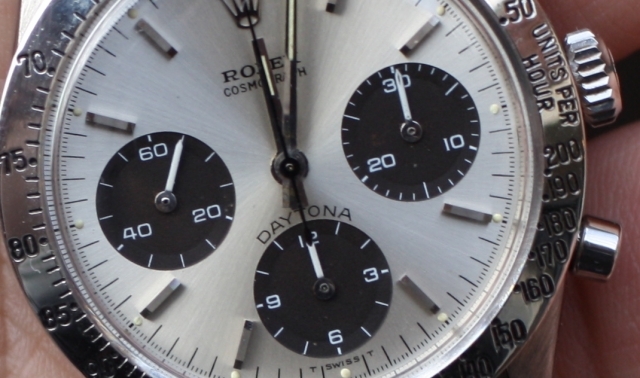 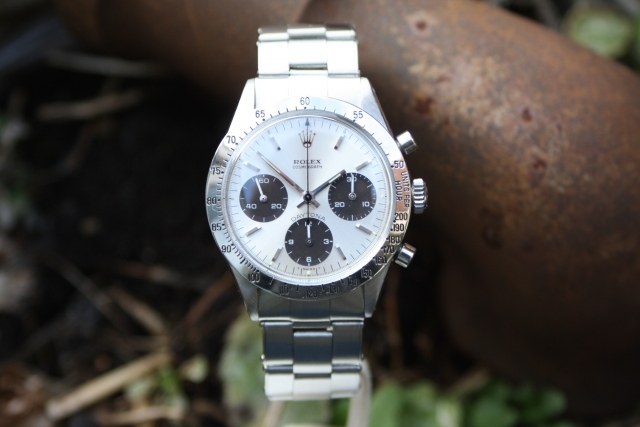 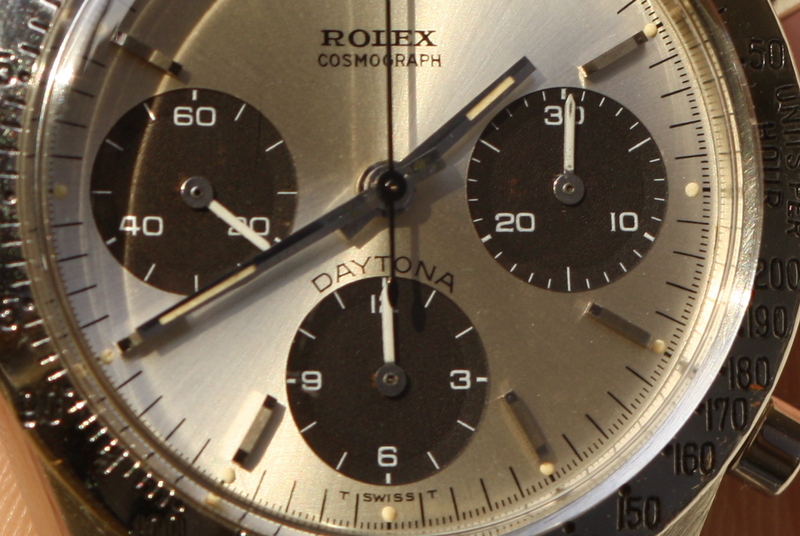 The discoloration of the subdials is something which seems to happen only with some of the early handwound Daytona’s. 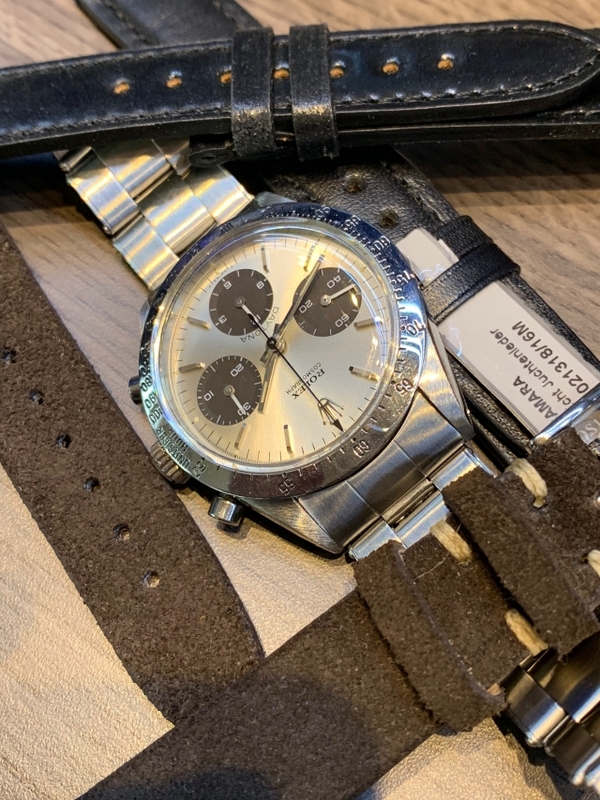 Just like the current ‘patrizzi’ dials the effect will continue to discolor and has a high potential value for collectors and investors. 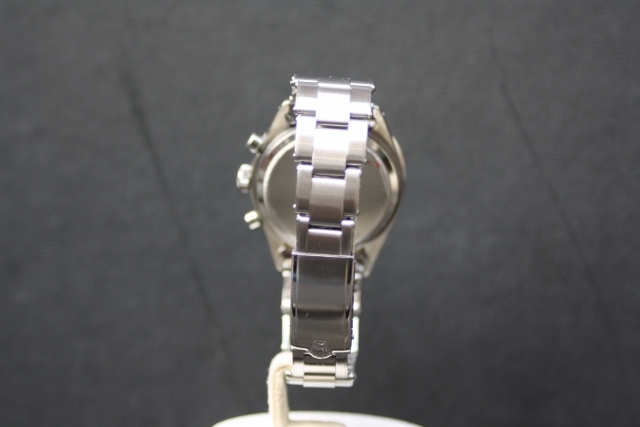 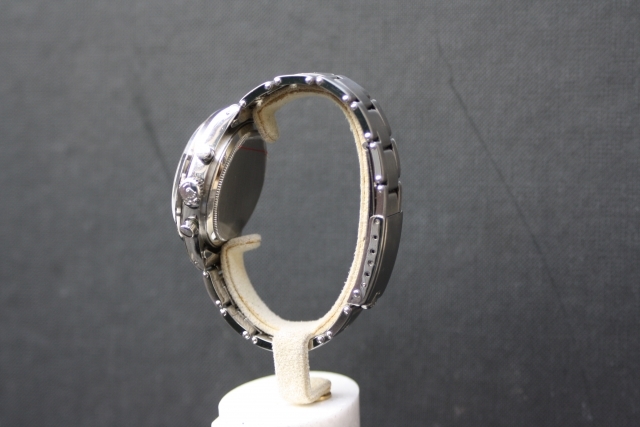 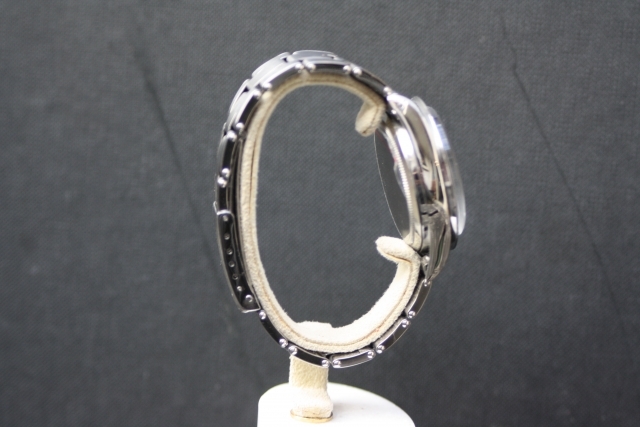 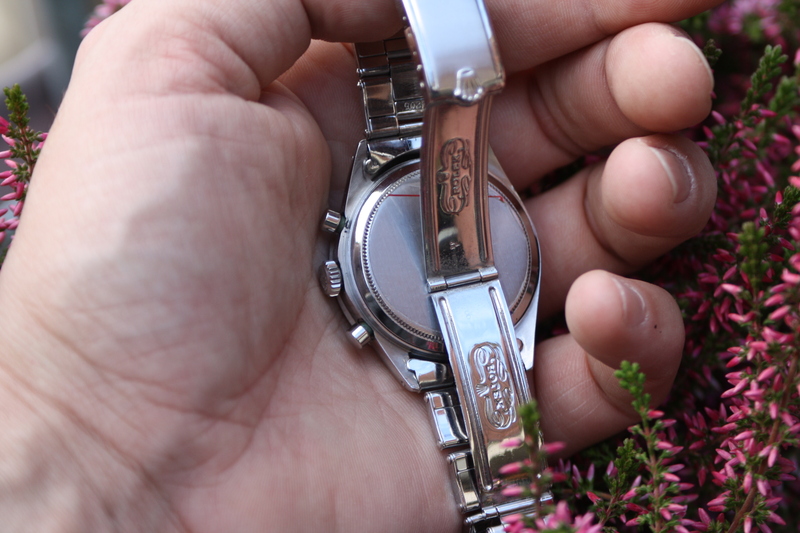 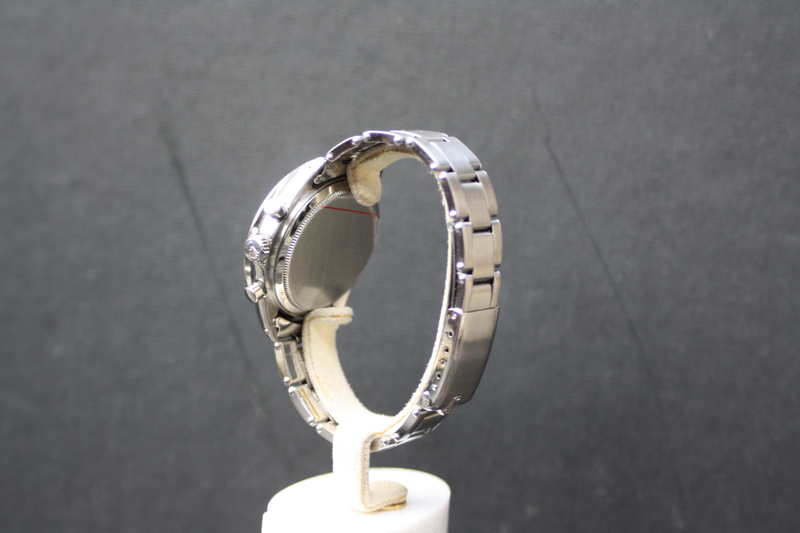 It has a charming effect on the overall appearance of the watch, especially in this condition.